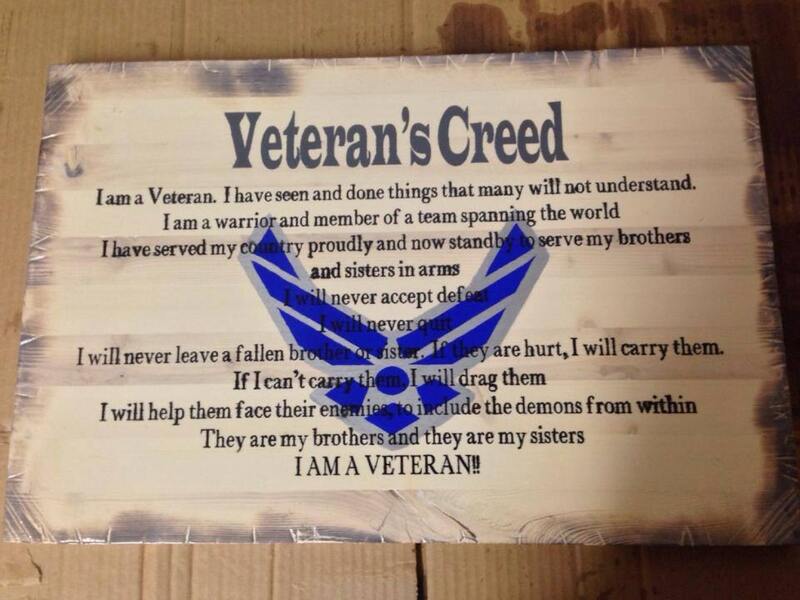 This rustic-style wooden sign has the Air Force emblem painted underneath, and then the Veteran's Creed painted on top. The wood is stained in a pickling white. It is approximately 16" long x 24" wide.